Innocent Idibia was born in Jos, Nigeria. He is from the Idoma ethnic group in the southern part of Benue State, in central Nigeria. He attended Saint Gabriel’s Secondary School in Makurdi, Benue State. He enrolled at Institute of Management & Technology, Enugu (IMT), where he did his preliminary National Diploma course in business administration and management. While attending IMT, he performed at school organized shows and parties, as well as other regional schools such as the University of Nigeria and Enugu State University of Science & Technology. He eventually dropped out to pursue his music career. While attending IMT, 2face Idibia started composing and singing jingles at the GB Fan Club at Enugu State Broadcasting Services (ESBS) in 1996. Also in 1996, he adopted the stage name “2Face” (Tuface). He cited the reasoning as “trying to demarcate my personal life with my business life. He moved to Lagos and started performing with rapper BlackFace Naija. He had met BlackFace while attending IMT. With Blackface (Ahmedu Augustine Obiabo) and with musician Faze (Chibuzor Oji), he went on to form the trio band Plantashun Boyz. Plantashun Boyz released two successful albums: Body and Soul (2000) and Sold Out (2003)under the Nelson Brown’s owned Label (Dove Records) before disbanding in 2004. Relations were marred for many years during which the band broke up and started their solo careers. Long after the break-up known as the “Faze vs Tuface” beef, the band came back together in 2007 for the purpose of recording a third and final album entitled Plan B (2007). Following the release of his debut album, he released his sophomore album Grass 2 Grace in 2006, which contained hits “One Love”, “True Love, “4 Instance”. He is the founder of Hypertek Entertainment. Upon leaving the music label Kennis Music, he set up his own record label known as Hypertek Entertainment. He is part of the Sony All African One8 Project alongside seven other musicians across Africa recording a single with R. Kelly and Prince Lee titled “Hands Across the World”. He is the first non-Liberian to become an honorary member of the Liberian music society in recognition for his outstanding contribution to the growth of music in Africa. He has been named Red cross ambassador society of Nigeria. 2face has several collaborations all over the globe, giving his collaborators the opportunity to win an awards for each duet such as street credibility by 9ice, possibility by p-square and lots more. He is adore by his colleagues and every entertainer in Nigeria music industry as a role model. 2face and heavy weight America Rapper Jay Z met in NYC 2014. 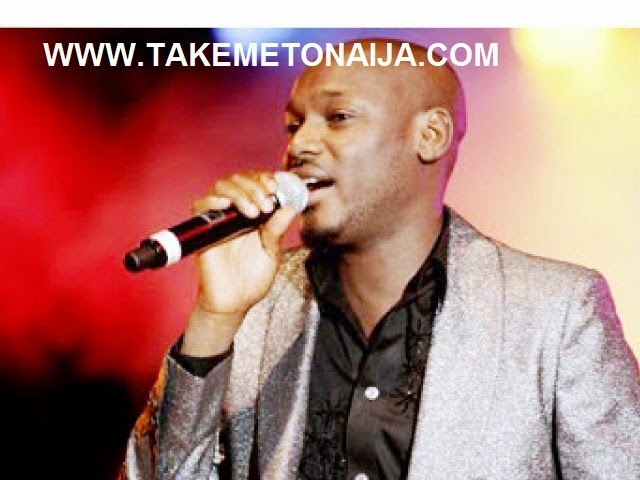 2Face has experienced near death events including gun shots from an armed robbery. Idibia has six children with three women. With banker/born again Christian minister Sunmbo Ajaba he has sons Zion(January 2006) and Nino(April 2008). With Washington DC based makeup artist Pero Adeniyi—daughter of P music promoter Chief Jide Adeniyi—he has daughter Rose, son Justin, and a newborn son born in April 2012. With Nollywood actress Annie Macaulay he has daughter Isabella(December 2008). On May 2, 2012, 2Face Idibia and Macaulay married in Lagos, Nigeria in a private ceremony. 2face announced his marriage via his Twitter page. Annie Macaulay and 2Face had their traditional wedding on the 8 March 2013 in Eket, Akwa-Ibom State Nigeria. The couple also had a white wedding in Dubai, on Saturday 23 March 2013 with Nigerian and Ghanaian celebrities all present to see the long term couple tie the knot. Macaulay has given birth to her second child for him on the 4th of January 2014. 2Face has established an NGO called 2Face Idibia Reach-Out Foundation. which motto is service to humanity. In 2009, 2Face was appointed as ambassador by National Agency for Food and Drug Administration and Control.He released a song “Man Unkind” in order to raise awareness on the menace of fake and sub-standard food and drug products in Nigeria. In 2009, he was presented with the prestigious International Youth Ambassador for Peace Summit and the Nigeria Youth Merit Award by the National Youth Council of Nigeria in recognition of his contributions to youth development in Nigeria. In 2013 he was rated 3rd richest musician in the nigeria music industry. signed many more deals after. In 2014 he was involved in an Adultery Mess With a Lagos Banker, Account Officer Teniola and getting her Pregnant after being married but he later debunked it as a false story in which him/wife threatens to sue the magazine that shared the story.